1 cup pistachios, roughly chopped. Place everything except sunflower seeds and pistachios in a blender and blend until smooth. Add the sunflower seeds and pulse lightly, leaving the sunflower seeds mostly whole for texture. Remove mixture from blender and set aside. 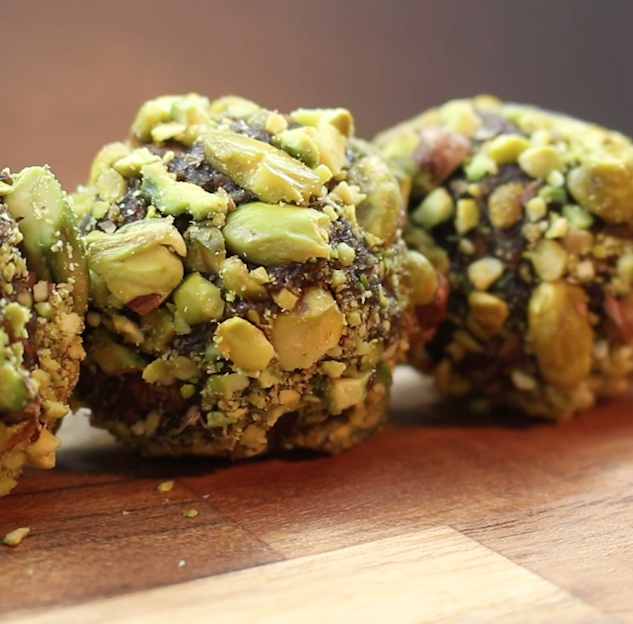 Roll teaspoon-sized scoops of the mixture into balls and roll in pistachios to coat.